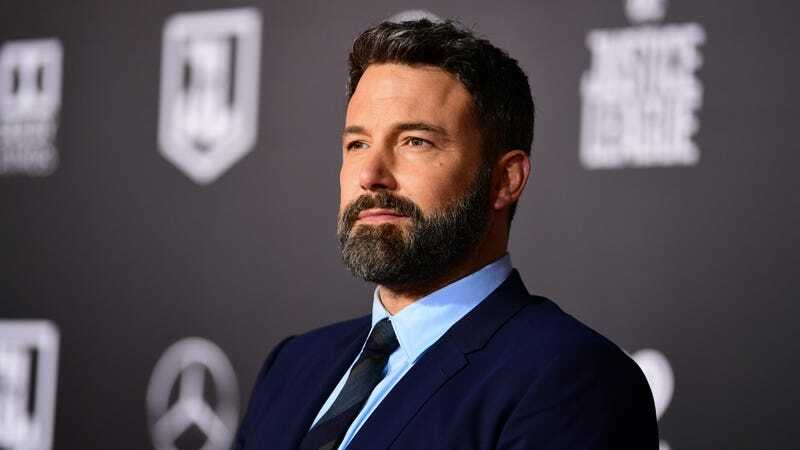 Finally, after years of rumors, denials, and additional rumors that seemed to corroborate the initial rumors, it looks like Ben Affleck is hanging up Batman’s cape and cowl. We don’t know if the supervillain Bane escaped from a prison in Santa Prisca and broke his back, or if the loss of one of his Robins forced Affleck to give up his crimefighting career, but we do know that he’s been not-so-secretly hoping for this to happen for a long time. Either way, Deadline says that Matt Reeves’ The Batman—which we just heard is coming in 2021—will feature a younger Bruce Wayne who is not Affleck. Affleck played the Dark Knight in Batman V Superman: Dawn Of Justice, Suicide Squad, and Justice League, and while none of those movies were particularly good, it’s fair to say that most of the problems with them weren’t really Affleck’s fault. Oh sure, the “Martha” scene was awful, as was every scene in Justice League, but Affleck’s one moment in Suicide Squad was fine. He didn’t really do much, but at least he got to harass Jared Leto’s Joker. If only we could all be that lucky. Anyway, Affleck sort of confirmed this news on Twitter, saying he’s excited to see Reeves’ “vision come to life.” Seeing as this all just broke, there’s no word on who might replace Affleck in The Batman, but surely Hollywood will be able to find another square-jawed white guy with dark hair who can do a mean growl. Wait, did somebody say Martha? WHY DID YOU SAY THAT NAME?! It’s Rumor Time: Is Warner Bros. trying to retire Ben Affleck’s Batman?